QuestingHound Technology Partners is your one-stop-shop for all of your IT support needs. Properly-functioning information technology is essential to the success of every business. When that IT isn’t working as it should, it can create a number of issues for your employees, and ultimately your business’ ability to complete projects, create revenue, and sustain efficient operations. As South Florida small and medium-sized businesses have begun to implement some of today’s most powerful technology solutions to mitigate many of their company’s most pressing operational problems, they often demand that their IT staff have the availability to fix any problem that arises to avoid the costly downtime that can really sink the profitability of an organization. 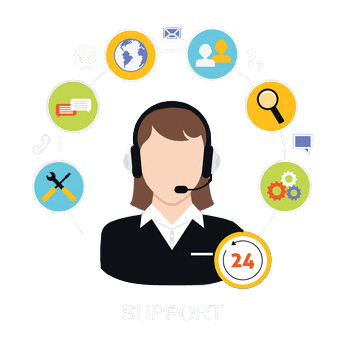 Whether they are made up of in-house technicians, or the trustworthy technicians from QuestingHound Technology Partners, you can now provide your end users with 24/7/365 technical support for all of their hardware and software issues. If you are searching for a solution to support your company’s crucial end-point technology, look no further than QuestingHound Technology Partners. If you would like more information about our 24/7 Help Desk and our other productivity-building managed IT services, contact us today at 954-727-2200.